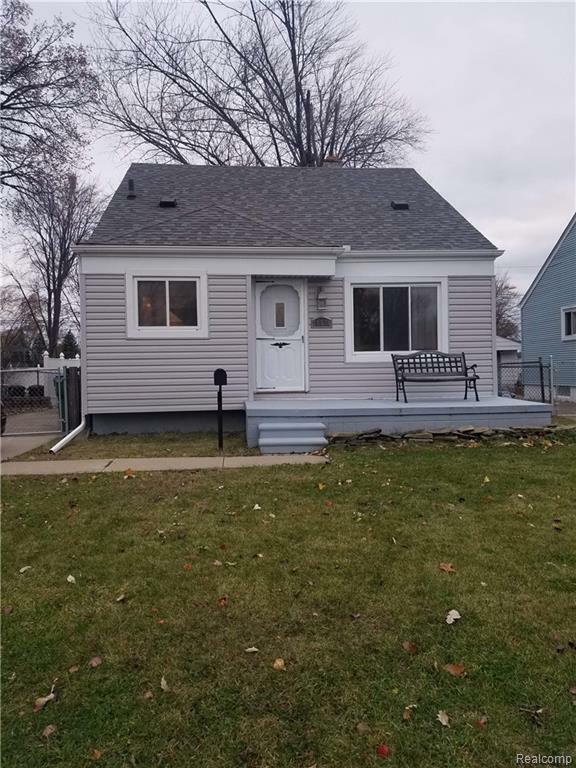 Recently remodeled, move in ready 3 bedroom bungalow, with full basement. Brand new floors on upper and lower level. Large kitchen with new cabinets, countertops, backsplash and ceramic tile. Brand new appliances. Brand new doors throughout the house. Bathroom updated also with ceramic tile, new vanity and bathtub. Furnace and air conditioning from 2017. Bedroom on upper floor has a storage room attached, that can be used as a second walk-in closet. Large fenced yard, perfect for kids and pets. City inspection has been done, Certificate of Occupancy will be provided at closing. Current taxes are non-homestead, according to the City, homestead taxes for 2019 will be around $1,750 for the year. Agent has interest in property. IDX provided courtesy of Realcomp II Ltd., via Elite Realty and Realcomp, ©2019 Realcomp II Ltd. Shareholders. Copyright 2019 Realcomp II Ltd. Shareholders. Real estate listings held by brokerages other than RE/MAX Nexus are marked with the Realcomp-approved IDX logo and are provided through IDX through Realcomp II Ltd. IDX information is provided exclusively for the consumers' personal, non-commercial use and may not be used for any purpose other than to identify prospective properties consumers may be interested in purchasing. Any use of search facilities of data on the site, other than by a consumer looking to purchase real estate, is prohibited. The accuracy of all information, regardless of source, is not guaranteed or warranted. All information should be independently verified. Data last updated: 2019-04-23T17:00:18.613.